Kelsey Sheofsky, co-owner of Shelter Co. luxury camping service (shelter-co.com), shares her reasons why this is the best month to take your weekend getaway outside. The fire becomes the camp centerpiece. “Mornings start with coffee around the fire,” says Sheofsky (pictured with her husband, Mike). Evenings mean dinner, stories, and games around the fire. Food is for lingering. Out are summer’s grab-and-go sandwiches and chips. In is anything that warms you. Perfect fall camping food ideas: Tomato soup with grilled cheese. Pancakes. Hot cornbread. Anything grilled. Cocoa all day long. Cozy is comfortable. Cooler temperatures plus longer nights add up to big sweaters, flannel coats, whiskey in flasks, plaid wool blankets, and other touches that make the outdoors feel homey. The desert’s open again. Picacho Peak State Park, southeast of Phoenix, closes for summer, but comes alive again in fall. 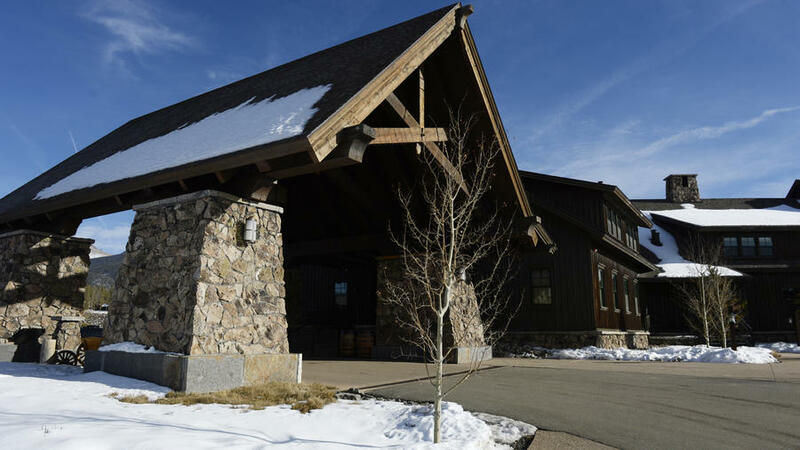 Dominated by the 1,500-foot spire, the park has 85 campsites and a sleek visitor center. From $15; azstateparks.com. More than wildflowers. Vast, rugged Anza-Borrego Desert State Park, northeast of San Diego, is famed for early-spring desert blooms, but late fall is lovely here—daytime highs in the 70s, lows in the 50s—ideal for hiking the Borrego Palm Canyon Trail. $25; https://www.parks.ca.gov/?page_id=638. The forest before the rains. Near Santa Cruz, Big Basin Redwoods State Park (pictured) has really big trees, nearly 140 tent sites, and 36 tent cabins. November’s the last chance to camp in Northern California under coastal redwoods before the rainy season. Tent sites $35, tent cabins from $92; http://www.parks.ca.gov/?page_id=540. Four-star camping. El Capitan Canyon Resort, on the coast above Santa Barbara, has luxury safari tents, cabins, and yurts. December 1 brings lower rates and 2-night minimum weekend stays instead of summer’s 3. Safari tent from $155; elcapitancanyon.com. Maui without the hotel bill. The rustic cabins at Wai‘anapanapa State Park get mixed reviews, but this is the glorious Hana coast—even beach tent camping here isn’t exactly roughing it. Tent sites $18, cabins $90; hawaiistateparks.org. Easy-access red rocks. Valley of Fire State Park, just an hour from Vegas, has some of the most spectacular scenery not enshrined in a national park, and is its temperate best this time of year. $20; parks.nv.gov. A cool time in the desert. In Snow Canyon State Park, near St. George, UT, November nights can dip into the 40s, but days in the 60s are ideal for exploring the park’s red cliffs and black lava rock valleys. From $20; stateparks.utah.gov. Sunshine depresses me. It’s just the same thing, over and over; I like days with moods, days as unpredictable as a toss of the dice. Which is why I believe that, after a long, hot summer, this is the best time of year in the Northwest. Because the real weather is coming. Storm watching, one of my favorite pursuits, isn’t just about watching, it’s about all the senses. Rialto Beach, in Washington’s Olympic National Park, has been called “the most musical beach in the world” by Emmy-winning sound artist Gordon Hempton, for the acoustics made by waves pulling pebbles back into the sea, a whisper that’s a cross between a kids’ game of marbles and a wind chime, even when the waves climb 30 yards of beach in a storm. You can feel the weather system starting to come in. Technically, it’s called a drop in barometric pressure: The air gets denser, seeming to gather together as if the world is inhaling, all while there’s still barely a cloud in the sky. The smell of salt in the air gets thicker. You can see the birds start to look as if they’re hurrying through their day. Then the storm begins, at first like a gentle touch on the arm, but then like a punch. Quickly the horizon shuts down. Where the edge of the world sits depends on how tightly you do a Clint Eastwood squint. Fifty-knot (58 mph) winds are common; the waves rise to 30 feet. Determined surfers stay out until the water is the color of a beeswax candle, though soon they, too, have to bail, which means the water’s not even a good place to be a fish. But for me, that’s the perfect time to be out. I stand on the beach for as long as I can, blasted by sand and bracing against a rock, the only way to stay upright, just for the chance to actually be a part of the storm. 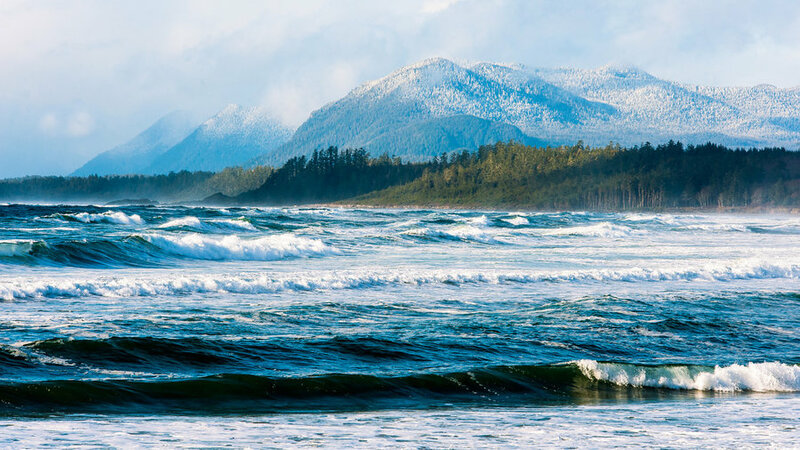 Tofino, on the west coast of British Columbia’s Vancouver Island, is the ideal place for first-time storm watchers. 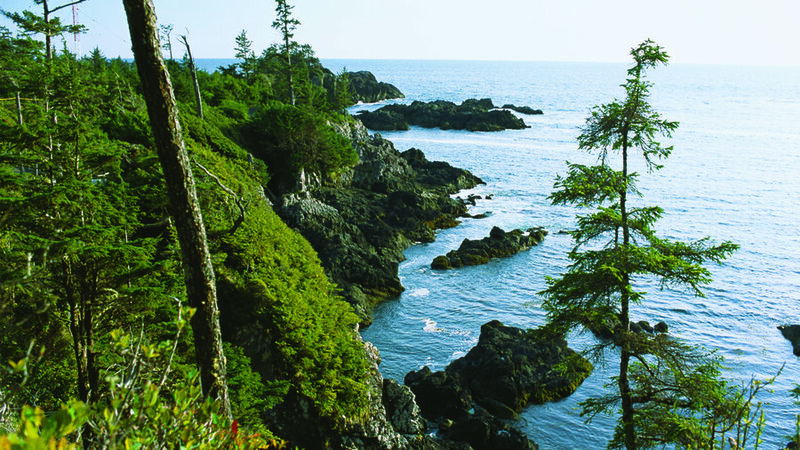 The true advantage of Tofino is the option of retreat. Long Beach Lodge Resort (from $174 U.S.; restaurant $$$; longbeachlodgeresort.com) sits on a vast expanse of sand between the ocean and the rain forest. 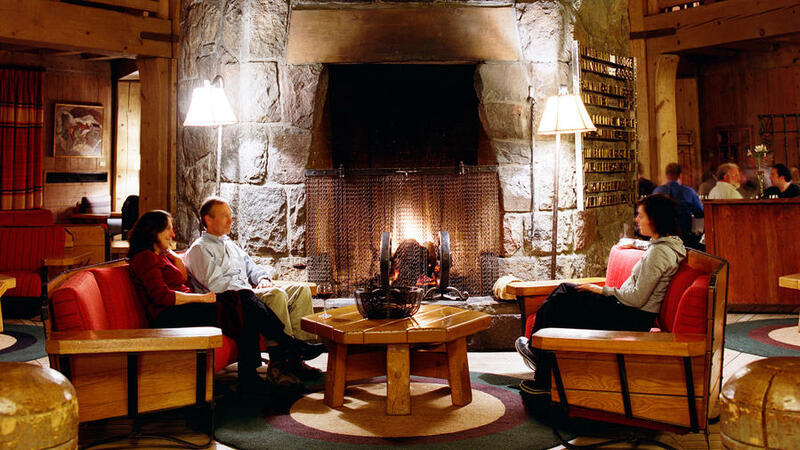 The resort has cozy rooms with beds laid with thick coverlets; some with their own fireplaces. And the three walls of wind-rattled picture windows in the Great Room lounge and dining room are perfect for watching a storm while eating a steaming bowl of chowder made with local seafood, or the chef’s Dungeness crab special. One trip to Tofino in a strong gale, and you’ll see that sunshine is overrated. Hammersley Inlet. 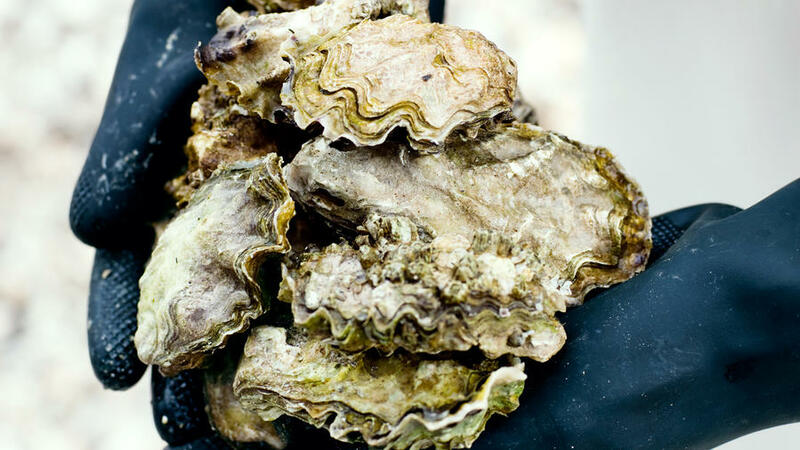 There’s a grassy green note along with brine and butter in Pacific oysters from the lower Sound’s Hammersley Inlet, no doubt thanks to the algae-rich waters down south. Blaine Wetzel, chef at the Willows Inn on Lummi Island, loves the variety’s deep cup, which fosters plump, sweet meat. $195 prix fixe; 2579 West Shore Dr.; 360/758-2620. Shigoku. 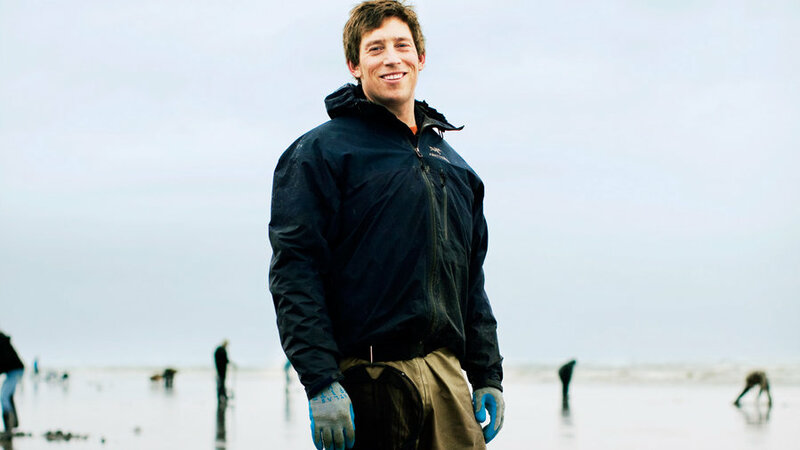 Developed by local oyster titan Taylor Shellfish Farms, this variety has deep cups and smooth shells from regular tidal tumbling, which is why Greg Atkinson, of Restaurant Marché on Bainbridge Island, keeps them front and center on his appetizer menu. “They are sweet in the mouth, and just gorgeous,” he says. $$; 150 Madrone Lane; 206/842-1633. Snow Creek. The dainty variety is grown in Discovery Bay. “They’re about as big as I like to go,” says Matt Costello, of Whidbey Island’s Inn at Langley, who looks for distinctly flavored ingredients for his multicourse dinners. “I like them bright, not too minerally, and with an earthiness to them.” $155 prix fixe; 400 First St.; 360/221-3033. Treasure Cove. They are slightly sweet, but “with the perfect oceany brightness,’’ says Renee Erickson, co-owner of Seattle’s Walrus and the Carpenter. 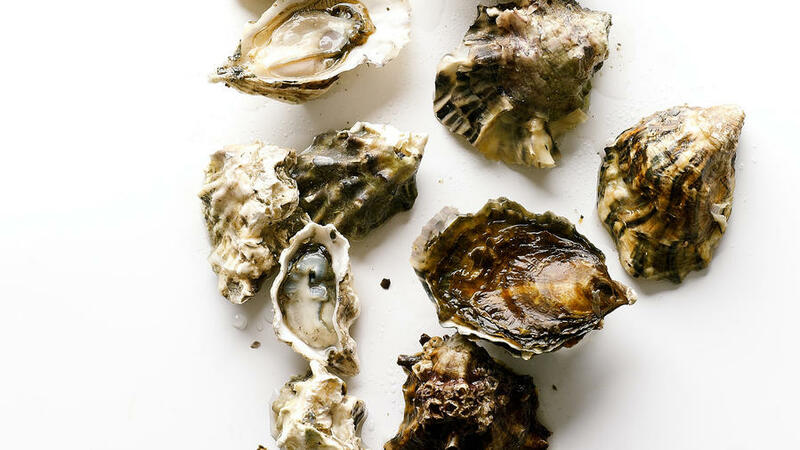 “I remember eating them for the first time and thinking the texture and flavor reminded me of the briny oysters I loved in Paris.” $$; 4743 Ballard Ave. N.W. ; 206/395-9227. 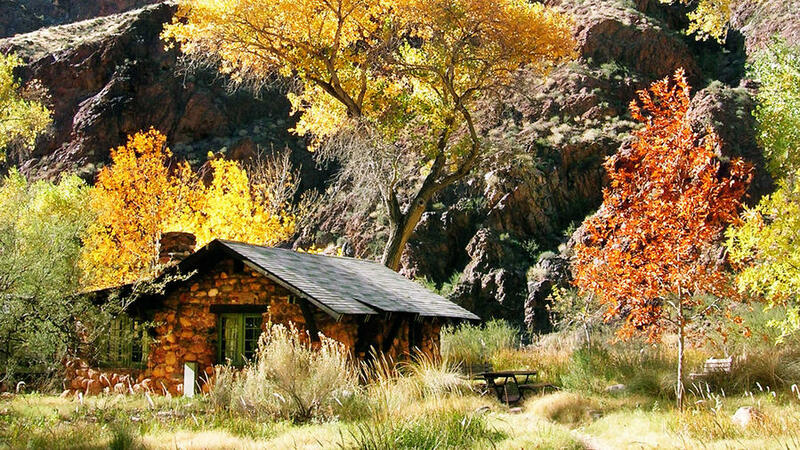 Part of the magic of a Thanksgiving Weekend getaway at Phantom Ranch, the compound of stone cabins, canteen, and dorms nestled along Bright Angel Creek, is getting there. Up on the rim, temperatures can be below freezing, but once we get down in the canyon, it’s warm enough for shorts and T-shirts. The hike from rim to river is 7 miles—and a drop of nearly 4,800 feet—on the South Kaibab Trail. At the top, I have those “this is so damn big” views of the canyon. Then, as my group makes its way down, the color of the rock changes and we’re passing through layer after layer of geologic time. The vista narrows with the canyon walls until, finally, the Colorado River, cotton­wood trees, and the oasis of Phantom Ranch peek into view (park entry $25/vehicle, dorm beds $51, cabins from $149; http://www.grandcanyonlodges.com/lodging/phantom-ranch/ or 888/297-2757). Here, in a place deep down in the earth, it’s natural to feel gratitude. But on Thanksgiving, Phantom Ranch makes the day even more special: Only on this day and on Christmas does the kitchen vary its menu from the standard steak, stew, and veggie chili options. Mules trek supplies down to the ranch, where the chef and kitchen staff prepare turkey, gravy, stuffing, and all the sides. A “pie lady” (the name they give the baker, male or female) makes the selection of fruit, pumpkin, and pecan pies. And it’s all from scratch, miles from anywhere. The meal is extra convivial because a fair number of people rebook every year, which of course means reservations are very hard to come by. The times we’ve gone, we started planning a year ahead, manning the phones in the early-morning hours on the first possible day to book our spots in the dorms, dialing again and again until we got through. But when good things don’t come easy, you appreciate them all the more. Wildflowers, clear night skies, temperate weather––the California desert has it all this month. If your pleasure is an active vacation, Joshua Tree is the place to be. Crisp November skies allow spectacular views of the Andromeda Galaxy. The ​29 Palms Inn makes a good base camp; many of its funky bungalows have private patios, and the entrance to Joshua Tree National Park is just 2 miles down the road. From $115; 29palmsinn.com. 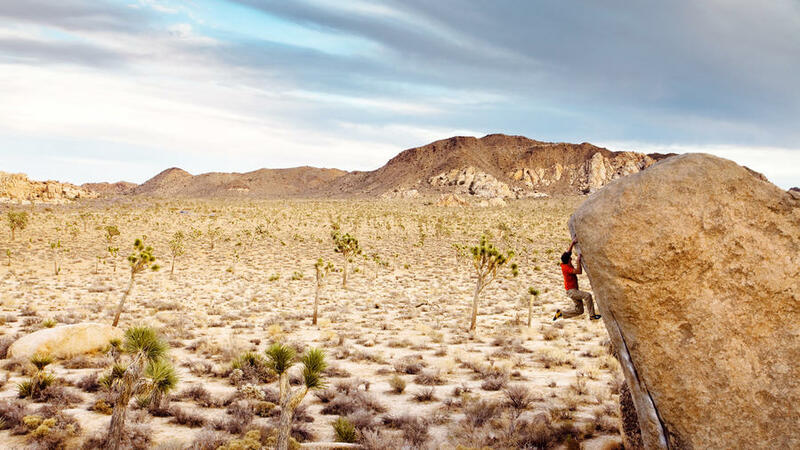 Fall in Joshua Tree means the weather is welcoming, especially to rock climbers. Uprising Adventure guides newbies as well as veterans to the right rocks. A slew of rainstorms last summer is good news for wildflower enthusiasts. “Monsoon blooms” like chinchweed should dot the desert in yellow and smell of rich cinnamon. $280/half-day for 2; joshuatree​uprising.com. The secret recipe for the tri-tip and carne asada chili at Pappy and Harriet’s Pioneertown Palace is rumored to contain a blend of coffee and tequila. Built as a western movie set in the 1940s, the roadhouse also dishes out live music. $$; 53688 Pioneertown Rd. ; pappyandharriets.com. Does your taste tend more toward poolside R&R than to rock climbing? Head to Palm Springs. The two pools at the Mediterranean-inspired Korakia Pensione (pictured) not only are open 24 hours but are heated as warm as 100° for cool desert nights. Black-and-white movies are projected on the courtyard wall. From $255; korakia.com. In fall, you can cruise the midcentury modern architecture by bike (Korakia lends two-wheelers to guests). The app Palm Springs Modern: Mid-Century Architecture Tours ($4.99) includes more than 80 landmarks in its three tours. Yes, the Palm Springs Aerial Tramway is touristy. But its rotating glass-walled cable cars are the perfect “mild” way to “hike” up 6,000 feet, from desert cactus to alpine trees, in just 10 minutes. $26 round-trip; snowshoe rental $18/day; pstramway.com. Those rich, ribbed, bulbous, and billowy fungus turning up at your local market are being harvested right now in parts of California and Oregon where the cool, rainy climate is ideal. Here are 6 species to eat now. 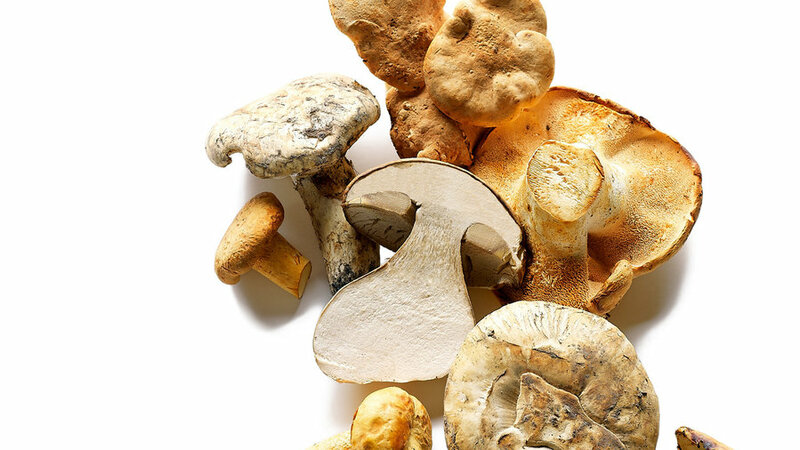 Chefs prize the hedgehog mushroom for its versatility, firm texture, and spicy hints of black pepper, coffee, and chocolate. Matsutake has a spicy flavor. If you’re buying at the store, make sure it’s fresh (in the memorable phrase of mycologist-author David Arora, the aroma of an old one is a “provocative compromise between Red Hots and dirty socks”). If you want to try foraging, the easily recognizable yellow chanterelle is a good first mushroom to hunt. Some epicures say its flavor is reminiscent of apricots. Also called horn of plenty, the black trumpet, a chanterelle relative, packs a rich flavor with fruity undertones into its demure fluted form. The yellowfoot has a fruity-earthy taste similar to that of yellow chanterelles and black trumpets, though its flavor is less pronounced. Balance its sweetness out with something salty by integrating the mushrooms into, say, a soy sauce reduction. Langdon Cook, author of Fat of the Land, shares his foraging knowledge. Q: Where are you and fellow foragers finding mushrooms right now? A: Mushroom “hunters” are heading for the coastal habitats in Northern California and southwestern Oregon, where there is a colorful parade of fungus in the fall. The mushrooms will pop up in coastal forests and even at the edges of sand dunes. A: I really like picking black trumpets, so I’ll head into the Brookings area of Oregon. Q: So how can people break into the foraging scene? Any tips for beginners? A: I recommend taking a class at a horticultural club or joining your local mycological society first, then get outside. The best way to learn about mushrooms is out in the field, where you can hold them in your hand. 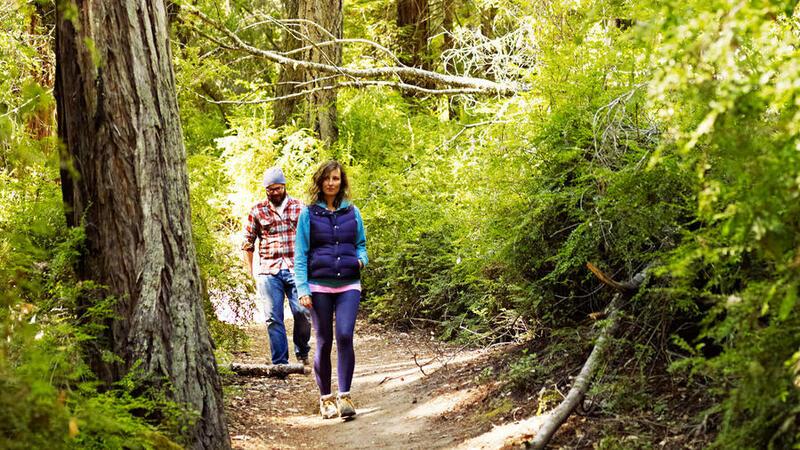 Take proper hiking precautions and learn your trees, because mushrooms have very symbiotic relationships with them—for example, chanterelles are commonly found in Douglas fir forests. The golden rule is never eat anything you can’t identify with 100 percent certainty! When fireplaces crackle again, you can’t deny the allure of the rustic lodge after a day outside. Here are the best spots to warm up. Must-see hearth: Built in 1937 by Italian immigrant stonemasons, the central chimney is 98 feet high, with 6 hearths on 2 levels. The basalt came from Mt. Hood. The original Cascadian-style furniture by the hearths was also handmade in the ’30s. Why go now: It’s quiet before Thanksgiving, and if the slopes open by midmonth, you can beat the crowds. From $145; timberlinelodge.com. NITA LAKE LODGE, WHISTLER, B.C. Must-see hearth: A see-through fireplace of basalt separates the lobby from the Cure Lounge—with great displays of art from Whistler’s White Dog Studio above the mantels. Why go now: Serious deals. It’s officially shoulder season in Whistler—especially at Nita Lake, where the rates can be slashed by as much as $400. From CAD $139 (about $110 US); nitalakelodge.com. Must-see hearth: The 3-story, 3-hearth hexagonal fireplace in the lodge restaurant is made of hand-stacked stones from a local rockslide. Massive Douglas fir timbers from Vancouver Island support the surrounding room. Why go now: For the virtual herd of animals on the 6,000-acre spread—elk, horses, moose, even Wagyu cattle. From $239; devilsthumbranch.com. Must-see hearth: In the lodge’s History Room is architect Mary Colter’s fireplace masterpiece, built with rocks (like limestone and sandstone) from the Grand Canyon that replicate its geological layers. Why go now: Spectacular lighting for photography. The sun sits lower in the sky, casting incredible shadows, and air tends to be clear. From $184; grandcanyonlodges.com. 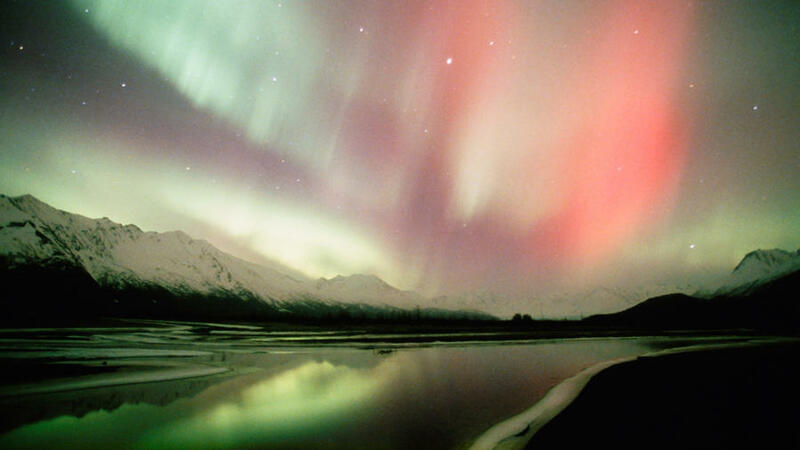 The aurora borealis (the northern lights) is the most mind-altering spectacle on our planet. It’s also nature’s biggest tease. It happens at the poles and is visible only in the clear night sky. I went to Chena Hot Springs (from $209; chenahotsprings.com), a resort with a lookout where you can see the lights if they’re visible anywhere in the northern sky. No dice. I moved to a different lodge. Nada. Nearly a week passed. I developed a grudge against the sun, the magnetic field, the entire cosmos, as if it were a maître d’ denying me entrance to a snooty restaurant: So sorry, monsieur, but Chez Aurora is not available until 2024. The next fall, I went back to Alaska, to the rainy southeast panhandle. Latitude and weather made the aurora seem an impossibility. But as I walked back to my hotel one night, it was as if somebody flipped a light switch marked “aurora.” The sky began to shimmer with waves of green light: Imagine that night had been turned to music—that’s what it was like. I gaped at it for an hour, going inside only when the rhythm ceased. Now, if anybody asks, I say of course you should fly half a continent north to see it. Otherwise, you haven’t lived the life you deserve. For new birders, the sport can be frustrating, requiring laser-sharp vision and bionic hearing. Good news: While the small, delicate (and harder to see) species have already flown south for the winter, the hardy birds arrive this month. Their large size and easy-to-observe behavior make them ideal gateway birds for casual watchers. The white-plumaged trumpeter swans are the largest waterfowl in North America, typically weighing 25 to 30 pounds. They nest and breed in Alaska, live up to 20 years, and once were near extinction. Where to see: Skagit Valley, near Washington’s Puget Sound; Yellowstone National Park. Many snow geese breed as far away as Siberia. In groups, their calls can be heard more than a mile away. They have white plumage with a black patch like a grin on their bills. Where to see: California’s Central Valley; Skagit Valley; and Bosque del Apache National Wildlife Refuge, New Mexico. The northern pintail duck attracts mates with its two long tail feathers and by making a popping sound. This is a dabbling duck, meaning it dips its beak below the surface to eat aquatic plants. Where to see: Great Salt Lake area. Bald eagles are raptors, hunting for live prey—but unlike hawks (in the same family), they prefer fish. They sound like a clucking chicken, and tend to return to the same nest year after year. Since 2007, they’re no longer on the endangered list. Where to see: Klamath Basin, Oregon. The most powerful flying duck, the canvasback has massive chest muscles, a pointed head and bill, and wings that whistle when it flies. A diving duck, it submerges underwater to eat plants and clams. Where to see: San Francisco Bay Area. Sandhill cranes (pictured) like to display, bugling loudly and crane dancing, almost like a “flash mob for birds,” says expert birder Alvaro Jaramillo. In flocks of hundreds, they fly in V formations or lines, drafting on one another. 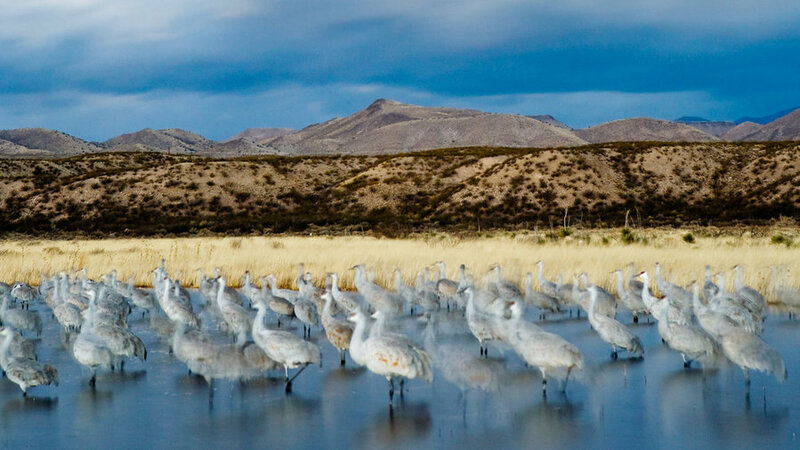 Where to see: Bosque del Apache, New Mexico; Sacramento Valley . 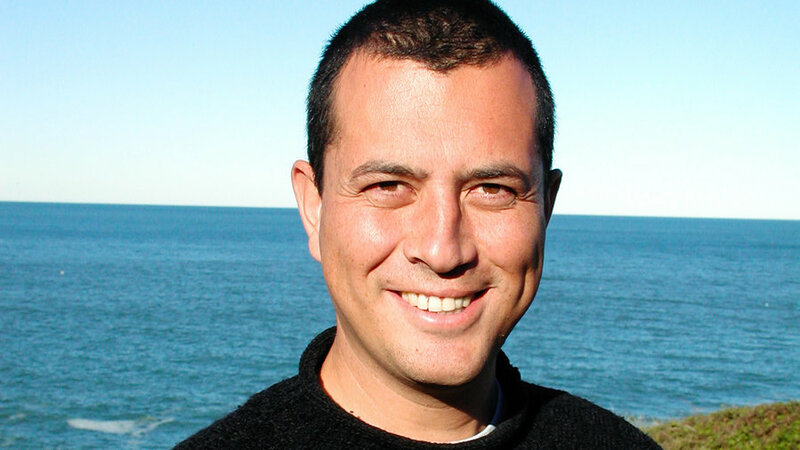 Alvaro Jaramillo, the founder of Alvaro’s Adventures: Birding & Nature Tours, based in Northern California, has tips for you. Q: What’s unique about fall bird migrations in the West? A: The topography of the mountains, valleys, and ocean drives birds into more concentrated migrations. When bad weather starts to hit the higher elevations, the birds become restricted to smaller slivers of nicer climates in the valleys. Q: Can you share some birding etiquette? A: There’s no dress code; you don’t have to wear earth-tone colors. You don’t have to be quiet all the time, either. Binoculars always come in handy, but you don’t necessarily need them with some of these larger migrations. Q: Is there a better time of day to go? A: Late afternoon when the sun isn’t straight overhead. Q: Which books do you recommend? A: I like books better than apps because screens are too small and a pain to see in the sun. The Sibley Field Guide to Birds of Western North America is the easiest book to use. 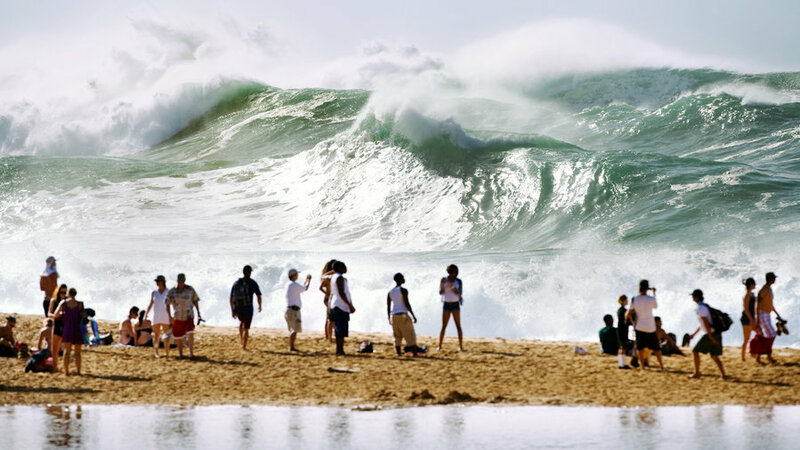 In November, Pacific storms begin to generate huge waves on Oahu’s North Shore, attracting the world’s best surfers to compete in the Vans Triple Crown of Surfing series. Joel Parkinson, a three-time series champ, tells what it’s like. The time to go to wine country, it’s said, is during the crush, in late September, early October. 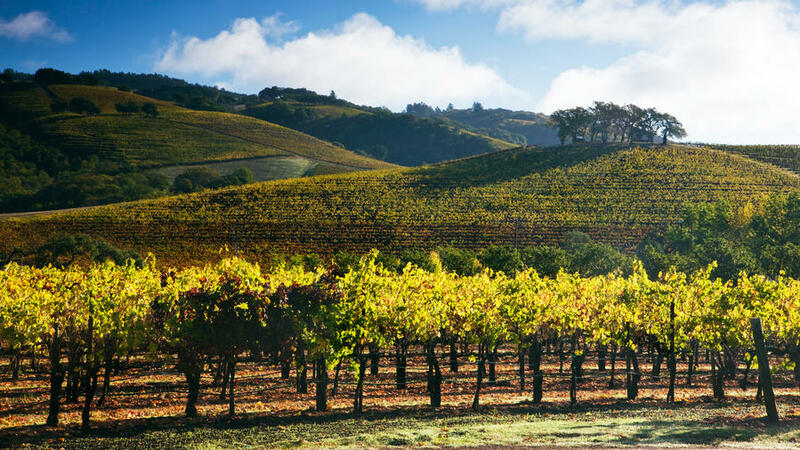 I once visited Sonoma County’s Healdsburg during this festive time, when tourists littered tasting rooms with badges around their necks like conventioneers. Pay a flat fee, go to a participating winery, hold a red-stained glass at the ready. Drink. My visit was less designed, so I couldn’t get into a restaurant, or book a room for under $350. Wine country during crush? Pfft. I drove home that evening. A little more than a month later, I went back. (Scored a hotel room a few exits north of town for $99.) Healdsburg still bustled with visitors, but without the air of drunken recklessness. On Center Street, just as many people were drawn to Flying Goat Coffee with its signature Aztec mocha as to the tasting rooms with their Cabernet. I drove into the heart of the Russian River Valley on the country roads, where no pickup tailgated me for following the speed limit of 25. The grasses and hills had turned from a thirsty straw brown to green, thanks to fall rains. And at rustic Copain Wines ($30 tasting; copainwines.com), up on a hill, the outdoor tables weren’t jammed. In the tasting room, Wells Guthrie, the winemaker, mingled with the few of us there, explaining his Pinot Noir at length. A few weeks earlier, Guthrie wouldn’t have had time to talk to me. In fact, I may not have even recognized him. (Some winemakers adhere to a crush tradition of letting themselves go—with grape-stained fingernails and castaway-style facial hair—during those days spent frantically bringing in grapes.) Instead, he glowed with accomplishment, and gave the tasting room the welcoming vibe of a party successfully thrown, when the spirit of fun still hangs in the air, but everyone’s gone home except a few lingering guests with interesting things to say. From my perch on the hill, I looked out at the vineyards in the valley. Grapes just plucked, the vines’ leaves had begun to turn golden. It was fall in wine country.